A most basic command of Holy Scripture is that we are called to love our neighbor. The church is the people of God who exist, in part, to be a hospital for sinners. There are certain subjects and issues that sometimes capture the church’s attention and may cause believers to lose sight of grace, love, and basic biblical commands. There is a particular subject that continually gets identified (in my church circles) as an “issue.” It is the “issue” of homosexuality. First of all, I have “issues” with this being labeled as an “issue.” We are talking about people. As long as we continue to frame our discussions in this realm of an issue, we are going to inevitably end up taking at least some of the human element out of the conversation. It is much easier to lambast an issue than it is a person. It must be constantly and deliberately borne in mind that gay individuals are people who have been created in the image and likeness of God. They are not bowling balls. They aren’t Buicks. They are people. And based on that fact alone, they ought to be treated with all the respect due to any person. Second, using the term “homosexuality” betrays the reality that we have not done our due diligence in listening well to gay persons. In my humble experience, homosexuality is a word that immediately puts up unnecessary roadblocks with LGBT folks. Continually using the term homosexuality typically communicates that certain individuals are in the category of a mental disease that needs to be cured. What is more, when certain church folks start tossing around the term, not far behind is the handful of biblical references that are supposed to make gay persons feel guilty enough to either: become heterosexual on the spot; or, live an eternally celibate existence without ever talking about their dirty little secret again. Even if all this is communicated with an altruistic sense of love by the church person (which seems pretty rare), it isn’t likely that anything good is going to come of the conversation. 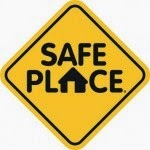 Here is my most basic concern: the church ought to be a safe place. Whatever your understanding is concerning gay persons, I would hope beyond hope that you can sign-off on the sheer necessity of the church being the one place on planet earth (or in God’s kingdom!) that people who are wrestling with Scripture when it comes to sexuality and gender can come with their questions and find help and resolution with what is going on deep in their souls. Whenever we church leaders make our pious pronouncements and babble on about how we are upholding the authority of Holy Scripture, it sounds to me like we are saying things that help make us feel better about ourselves instead of saying something that will help the otherthrough their time of need. Here is a ridiculously simple observation: gay people are not going to magically disappear. Yet, it seems like there are some churches that want to blink and just expect that there will be no more gays around. Here is another simple observation: gay individuals have eternal souls just like anyone else, and they are looking for redemption and hope just like anyone else. The question of the hour, then, is: Will the church show pastoral care and sensitivity for all people, or will the church be a country club with a chaplain caring only for “acceptable” members? We are all sinners in need of God’s grace in Christ; we all belong to the same human family. It is high time we begin focusing on our commonality so that we might shepherd one another toward Jesus, the Great Shepherd. He is our Savior. Let us come to him together. Thanks for your thoughts here Tim. Your heart to share the gospel, and reflect the grace and love of Christ that we have been so richly blessed with is evident. I hope to share this same pastoral sensitivity and honest in my work also.